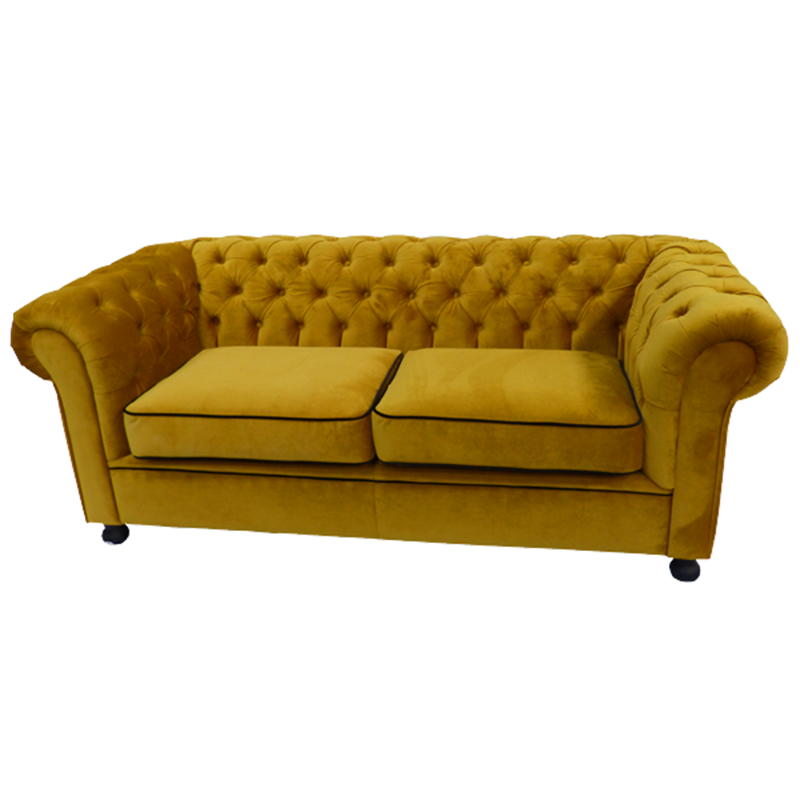 Our Chesterfield inspired 3 seater sofa provides classic good looks with high levels of comfort, making this the ideal sofa to choose for stylish events. The Chesterfield is a much-loved classic sofa and we've brought ours right up to date by using sumptuous velvet and a funky range of colours. 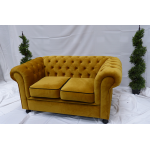 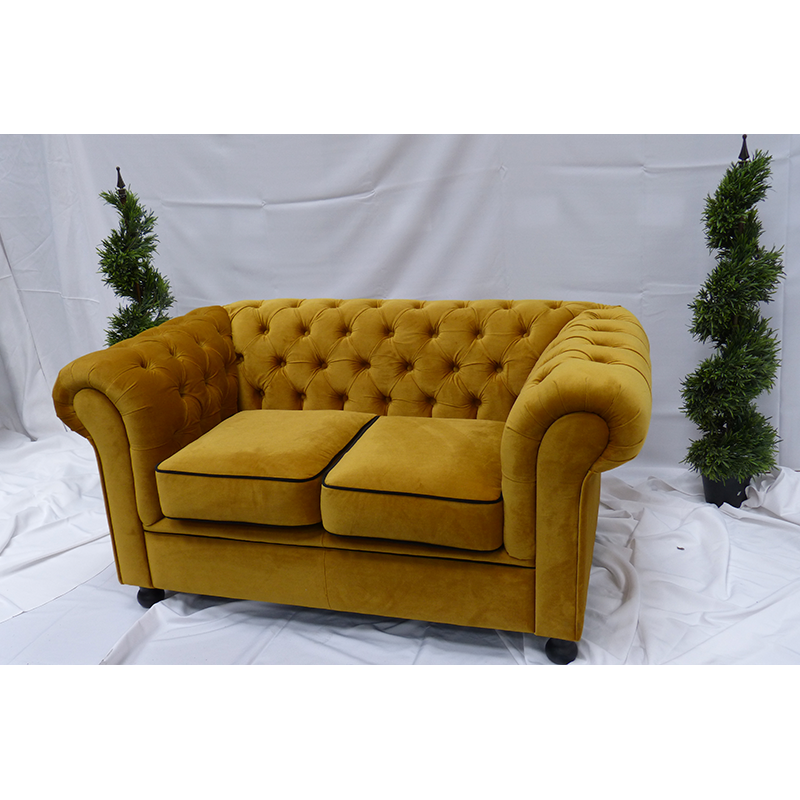 Our gold velvet Chesterfield style sofa seats 3 people in comfort and it's beautifully designed with button detailing on the back and on the armrests. 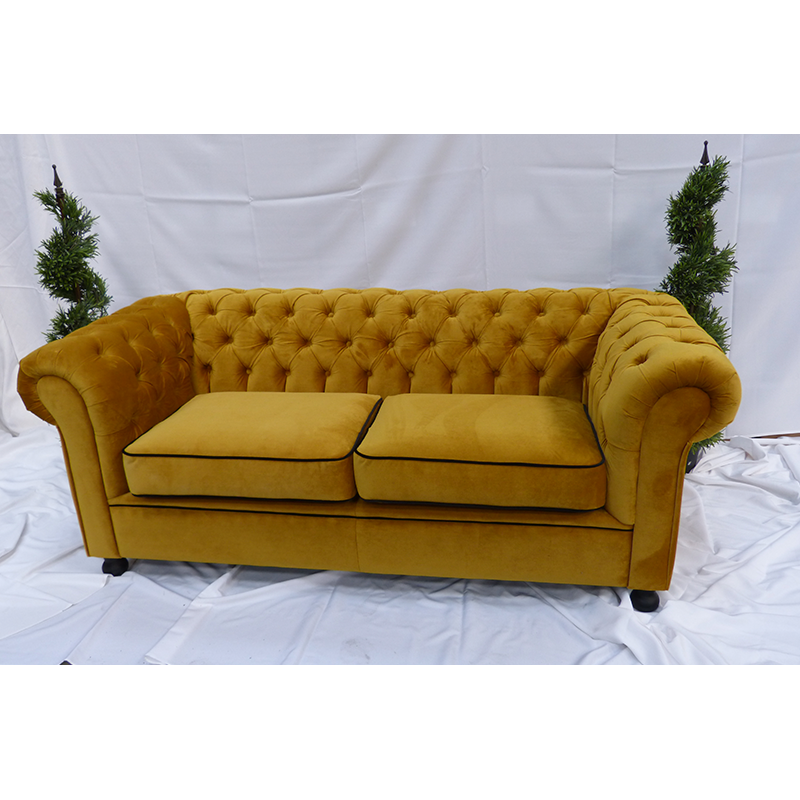 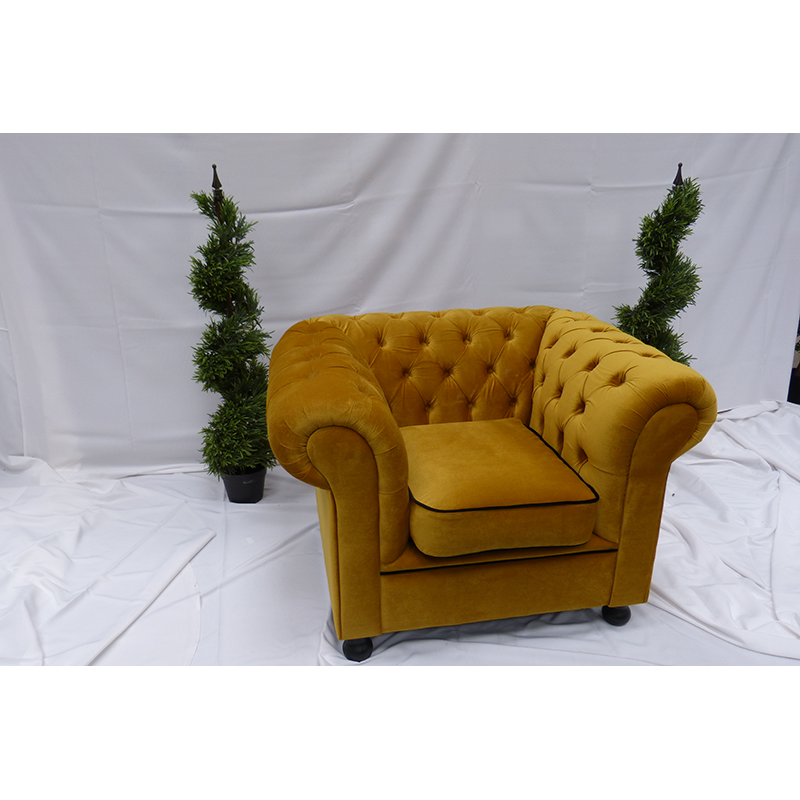 As well as the 3 seat sofa, you can also choose from 2 seat Chesterfield style sofas and lovely Chesterfield style armchairs, all available in various different colours to suit the look and feel of your particular event. To complete the look, take a look at our range of coffee tables, or take a look at our other sofas and armchairs here.